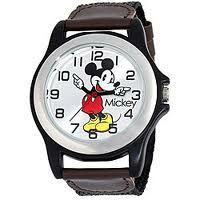 Growing up, I always wanted a Mickey Mouse watch. I never did get one, but I can’t complain. I’ve been to Disneyland and Disney World, and I have my own pair of mouse ears. I may even wear those ears today in honor of Mickey Mouse’s 85th birthday. On November 18, 1928, he was introduced to the world Steamboat Willie was released to the public. There’s something about growing up and growing older with Mickey Mouse that always makes me smile. Posted on November 18, 2013, in Family, My life, perspective and tagged 365 reasons to simile, birthday, Disney, Mickey Mouse, musings, perspective, smiles, Steamboat Willie. Bookmark the permalink. 55 Comments.